HELP YOURSELF FROM OUR BUFFET AND ENJOY OUR DISHES. All our guests are welcomed in a very spacious and fully air-conditioned, bright dining room right from early in the morning with a delicious breakfast buffet. Even more special, for those who have chosen the full board at the Hotel Galassia Rivazzurra, is the pleasure of tasting the best of the Romagna cuisine included in the 5 different menus served each day along with a buffet of appetizers and side dishes, with cooked and raw fresh and seasonal vegetables. 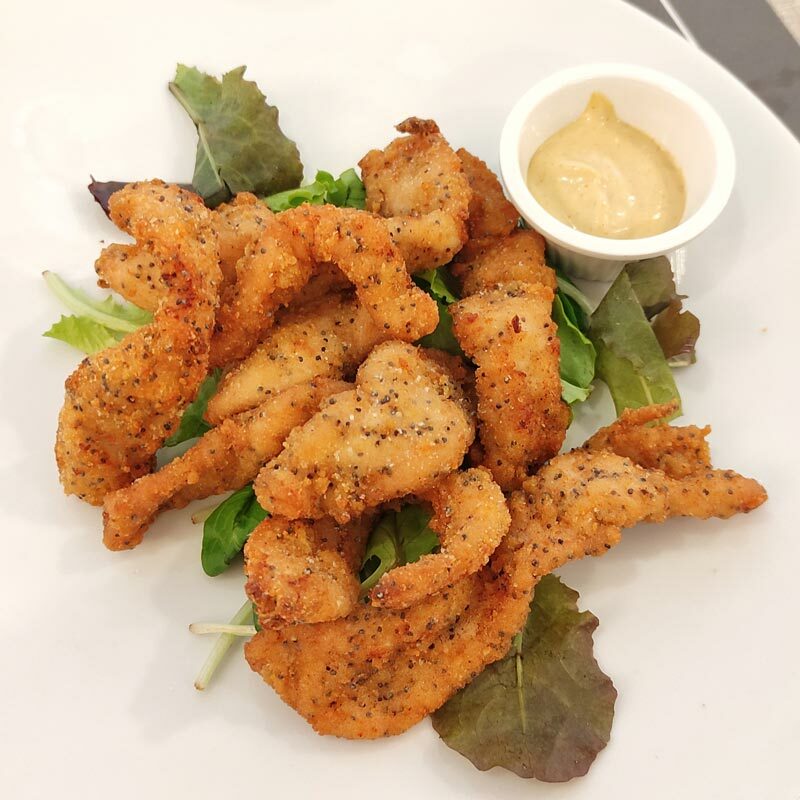 With the menus available for every meal, we offer a special kids’ menu (even for the youngest ones) with tasty and healthy food; also a kitchenette for new mothers, and a vegetarian menu. On request, the hotel’s cook can prepare special gluten-free menus for celiacs. On request, packed lunches for the beach or for trips out of the hotel. 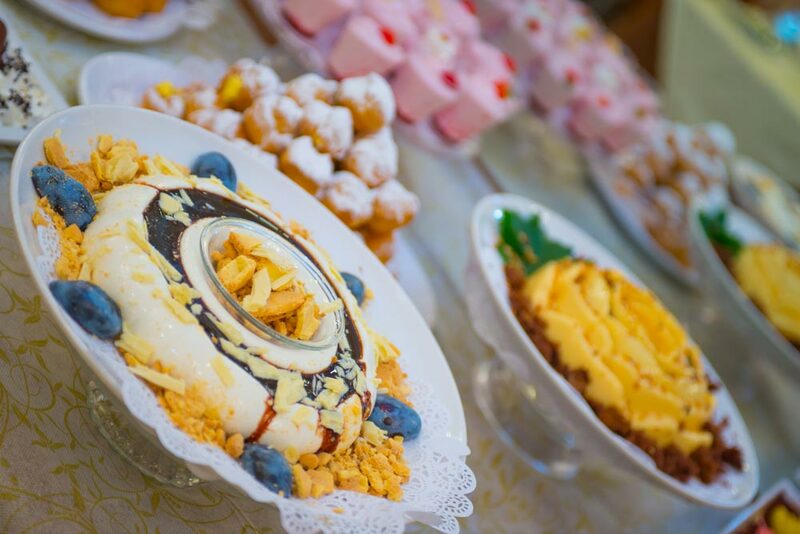 Our pastry chef will delight you with excellent fresh cakes and sweets of all kinds, to finish your meal in the best way. 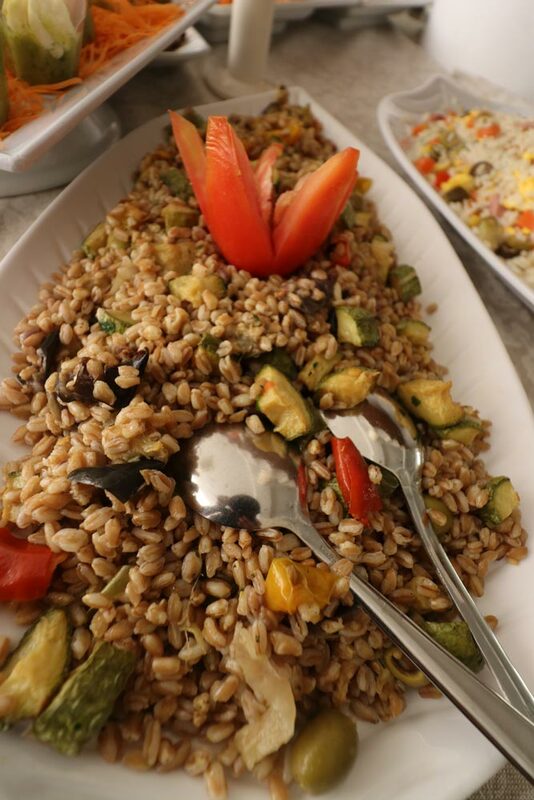 At Hotel Galassia in Rivazzura, on full-board, in addition to our excellent meat and fish dishes, now you can choose a vegetarian alternative. In fact, our chef will prepare an ad hoc menu, consists of a first and second course that are different every day. Here are some of our suggestions! First course: Cous cous with vegetables. Second course: Pears with cheese. First course: Ravioli ricotta and spinach with creamy ginger soup. Second course: soy burgers with baked potatoes. First course: Semolina gnocchi au gratin with butter and tomato drops on Parmesan cheese. Second course: stewed meatballs lentils with peas. First course: Sicilian penne with eggplant and basil. Second course: Valdaostan chickpeas escalope baked with fennel and mimosa sauce. First course: Creamy risotto with rosemary and prosecco. Second course: Salad with apples, fresh spinach and parmesan. Have fun trying a new dish every day: healthy, tasty and always new! So you don’t forget about your vegetarian diet even when on holidays, why not?. 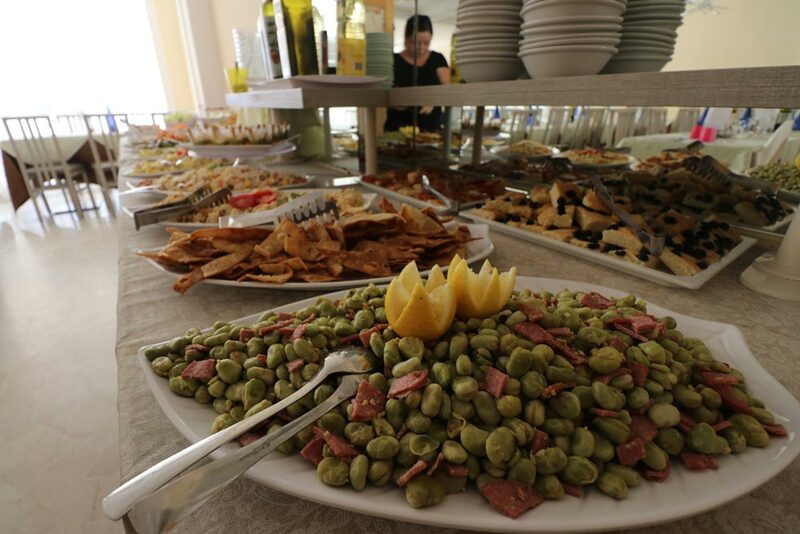 Why not trying for the first time different food that is as inviting as the traditional menus, as it is already a tradition at Hotel Galassia in Rivazzurra! as the best Romagna tradition!